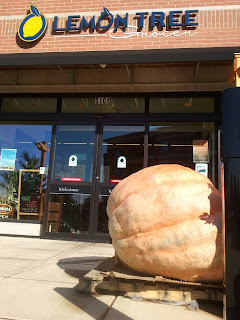 -Roasted and shelled pumpkin seeds are called "pepitas"
-1.1 billion pounds of pumpkins were grown in the US in 2010. Illinois produced the most - an estimated 427 million pounds. California, New York and Ohio were also major pumpkin-producing states, each with an estimate of more than 100 million pounds. -Size of a pumpkin ranges from 1 lb to over 1000 - the Lemon Tree Grocer in Downers Grove, IL had the largest one in Illinois this year - weighing 978 pounds! Preheat oven to 350 F. Cut pie pumpkin in half, seed and place in casserole dish. Add 1" water and bake for one hour. When cool to touch scrape pumpkin from rind. If in a crunch for time - use store bought puree. Reduce oven temperature to 325 F. Lightly butter the wells of a miniature cheesecake pans or 9" springform pan. For the crust(s), combine the gingersnap crumbs, cinnamon, butter and sugar and stir until blended. Divide the mixture among the prepared pans and press evenly into the bottoms. Bake until the crusts are set, about 10 minutes. Transfer the pans to a wire rack and let cool completely. 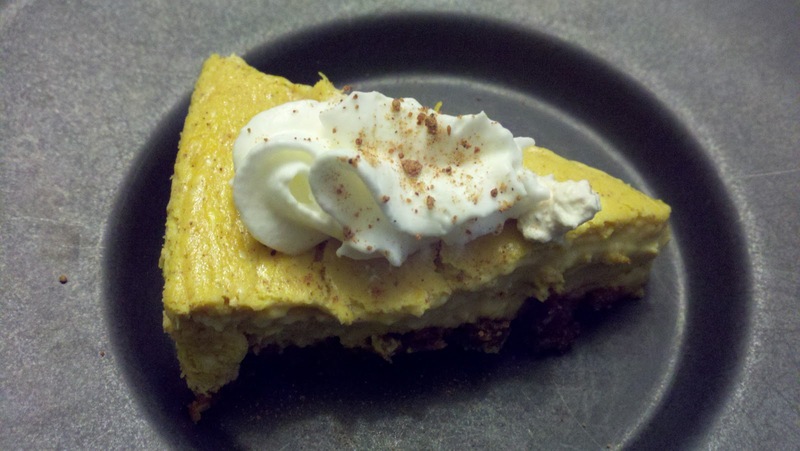 To make the filling, in a small bowl, stir together the pumpkin, cinnamon, ginger and nutmeg. Set aside. In the bowl of an electric mixer fitted with the flat paddle and set on low speed, beat together the cream cheese and sugar until smooth, 3 to 5 minutes. Add the eggs one at a time, beating well after each addition, and then beat in the vanilla. Add the pumpkin mixture and beat until completely blended, about 1 minute. Pour the batter into the crusts, dividing it evenly among the pans. Bake at 325 F until the filling is set, about 20 to 25 minutes for minis or 1 hour for 9". Transfer the pan to a wire rack and let cool to room temperature. Refrigerate for at least 3 hours before unmolding. Before serving, make the cinnamon whipped cream: In a medium bowl, beat the heavy cream with the vanilla and cinnamon until soft peaks form. Spoon onto the cheesecakes and sprinkle with the grated nutmeg. Makes one 9 inch cheesecake or 12 mini cheesecakes. Can't wait to try this! Had no idea pumpkins were fruit. You had me at pumpkin! Sounds amazing. So..for another post...my miracle doctor today gave me the business about veganism. So much to think about!